When your business is replacing hydraulic cylinders for your own equipment or that of a customer, knowing that each cylinder repair is perfect before it is reinstalled is essential. Being able to guarantee that there are no rod or piston seal leaks and that the cylinder will work properly means greater profit, satisfied customers and long term customer loyalty. 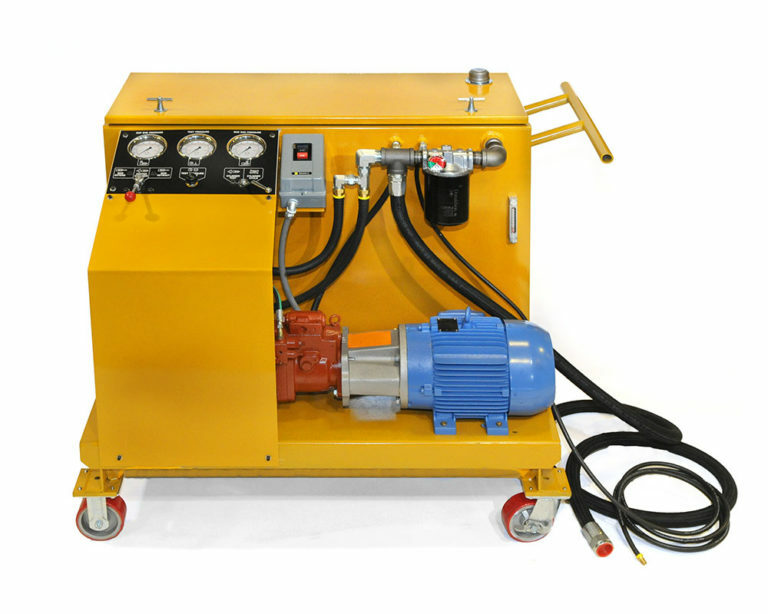 The high volume, high pressure hydraulic system and precise controls and gauges of the HCT-3000 Hydraulic Cylinder Tester provide a high speed testing capability. With 3000 PSI testing capacity, all cylinder repairs can be guaranteed not to fail when reinstalled into the field. A low cost insurance policy, that proves to be a valuable addition to any hydraulic repair facility.